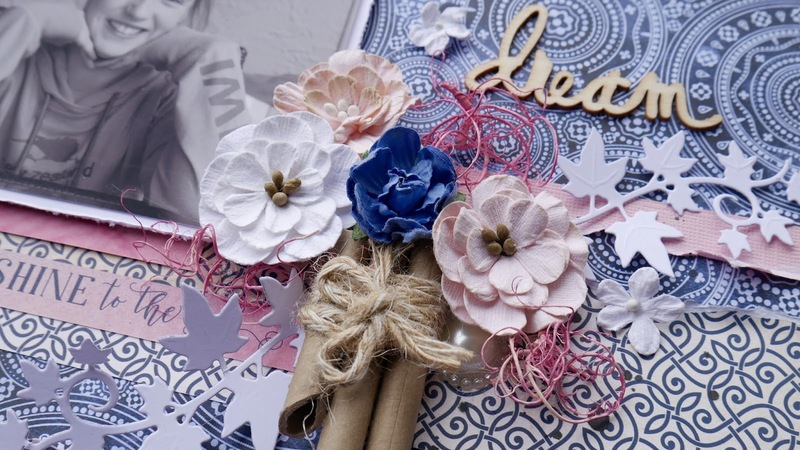 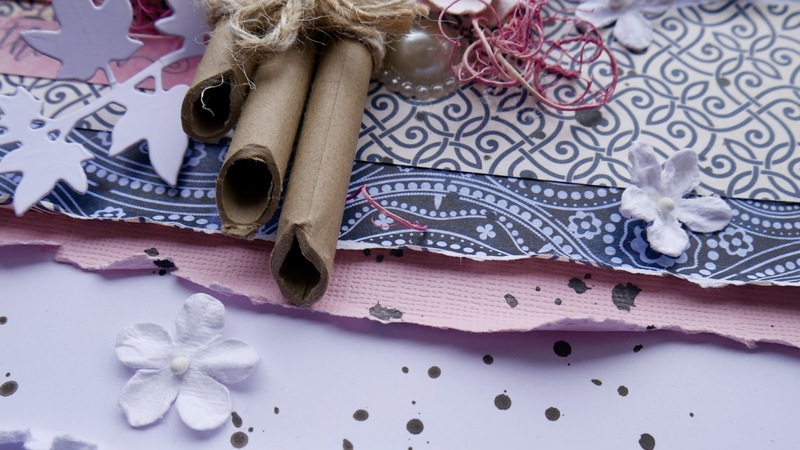 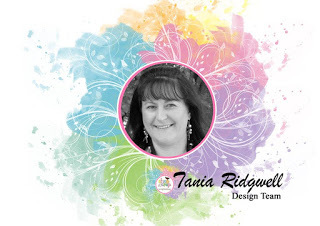 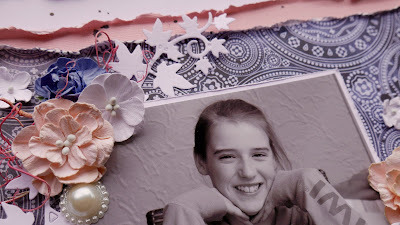 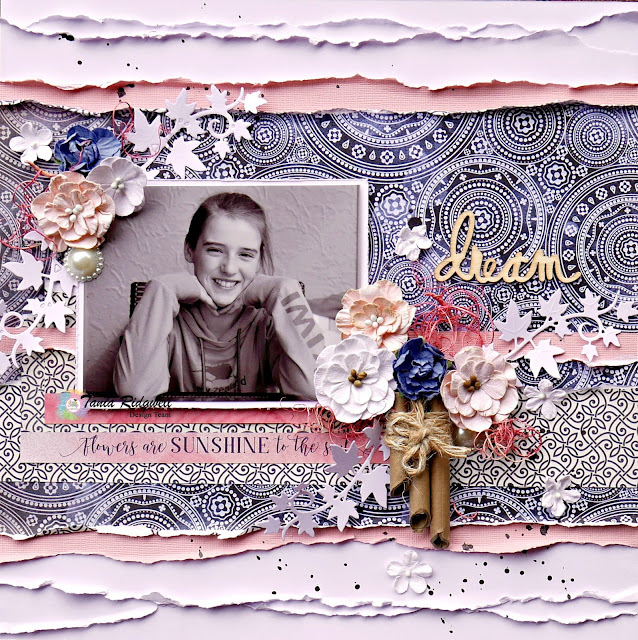 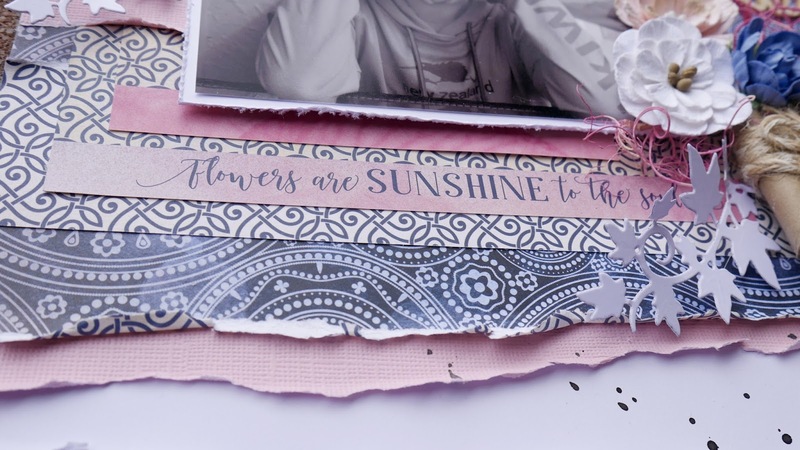 Tania back with you today sharing a final layout using our gorgeous January Crop Kit. I created this page using more of the leftovers pieces from the kit. 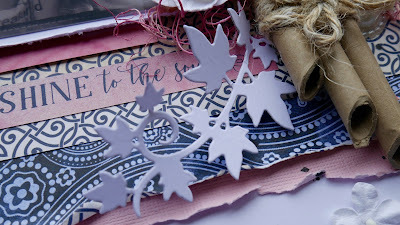 I strayed away from the Beachy theme for this page! Lots more tearing on this page as I added some more layers of white cardstock. I used the Dream wood veneer from the kit and finished by embellishing the page with flowers from my stash as well as some Ivy die cut pieces.